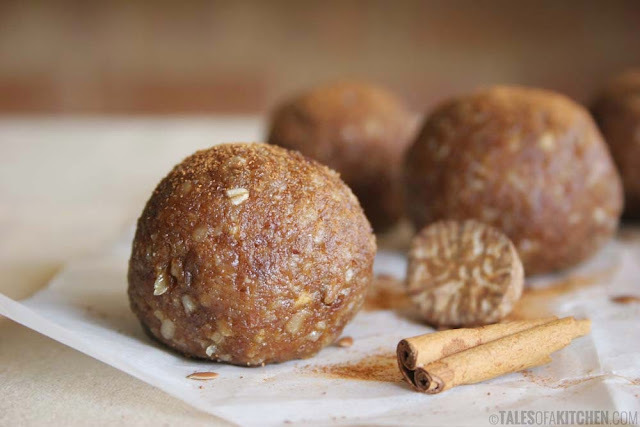 I love these healthy, no-bake and gluten-free Cinnamon Cookie Dough Bites from Tales Of A Kitchen. In fact, they are so healthy that it's not fair for me to call them an "indulgence" or even a cookie! They're more of an aromatic, energy-packed snack that will satisfy a sweet craving. And, they're super easy to make! Sprinkled in my coffee grounds when making coffee and then sprinkled in my coffee cup with milk and sweetener. It gives my coffee a rich, sweet taste. Sprinkled on an english muffin topped with ricotta cheese and honey (my breakfast almost daily). Sprinkled on my oatmeal cereal. Sprinkled on vanilla frozen yogurt or ice cream. In my recipe Cinnamon Blueberry Balsamic Greek Yogurt. Sprinkled on diced sweet potatoes coated with cooking spray before roasting (400° for 25 min). 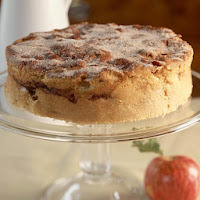 Also, be sure to check out my previous post for Cinnamon Apple Cake. It's a 5-star outstanding recipe! Click here to visit Tales Of A Kitchen and get the recipe. Have a cinnamon sweet day!